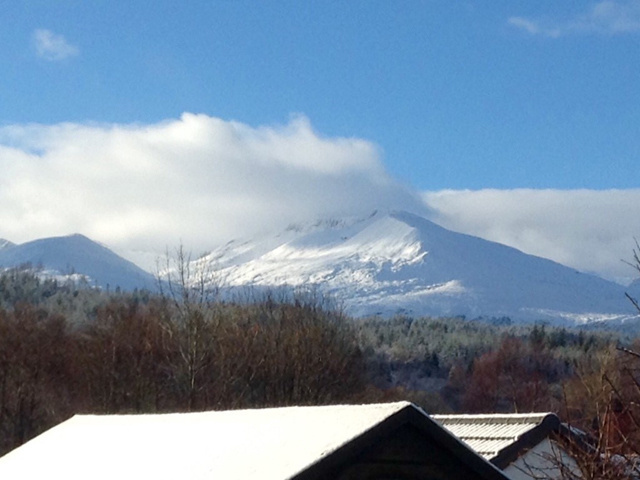 Situated approximately 10 miles from Fort William is Spean Bridge, an attractive and well equipped village, with a well-stocked shop, primary school, woollen mill, hotels, bars, cafe and restaurants. Also home to a railway station, on the line to Fort William with its building being converted into the Old Station Restaurant. There are good rail and road links as well as being on a bus route into Fort William. Fort William is the main district town of Lochaber, known as the "Outdoor Capital of the UK." The town is a popular tourist destination and has developed an enviable reputation for providing all manner of outdoor pursuits including skiing, hill walking, mountain biking and sailing. 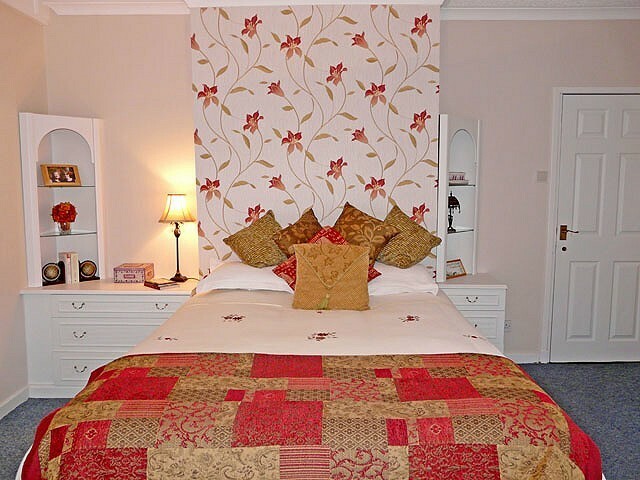 There is a variety of supermarkets, shops, a library, museum, tourist information centre and railway station with links to Mallaig, Inverness, Glasgow, and Edinburgh as well as the overnight sleeper to London. On leaving Fort William Town Centre travel along the A82 Fort William to Inverness Road to Spean Bridge. After passing the 30pmh sign on entering Spean Bridge turn right onto the A86, passing the Russell's Restaurant on your right, continue along the road, RoseIsle is opposite and just before the primary school which is on the left. 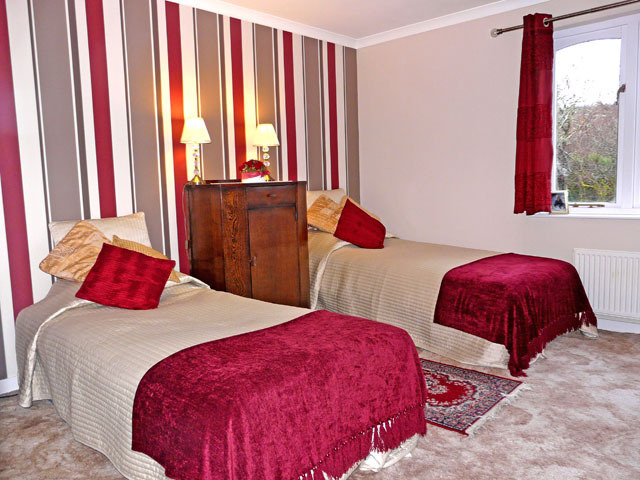 In addition, with the current layout of the property the house would work well for independent living for family members if required and with minor modifications the owner's accommodation could be kept totally separate from guest rooms and facilities. The house is bright and spacious through-out and benefits from calor gas central heating as well as a central feature fireplace with back to back openings making the lounge and dining area cosy and warm. There are numerous lovely sash sliding window through-out the property and natural back to board flooring in the lounge-diner. 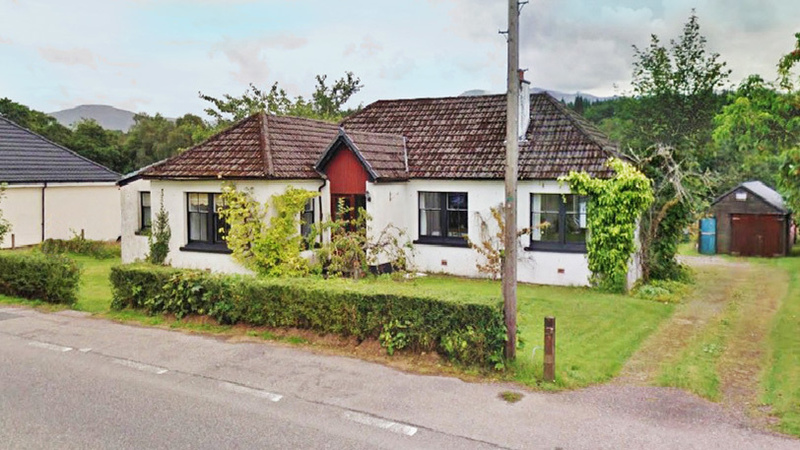 Situated right in the heart of the village of Spean Bridge with the modern primary school conveniently located almost opposite. 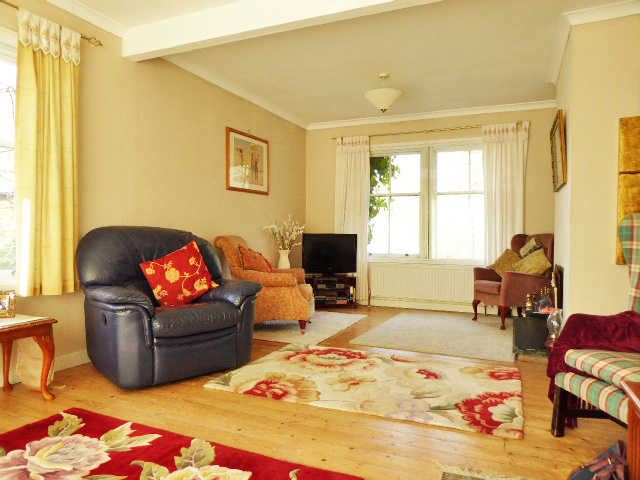 Entrance hall, lounge-diner, sitting room, kitchen-diner, 5 bedrooms (3 en-suite), shower room. Large sash sliding windows and sliding patio doors provide plenty of natural lighting to the room. There is a central feature fire place with back to back openings creating atmosphere and warmth. Stained wood floorboards. 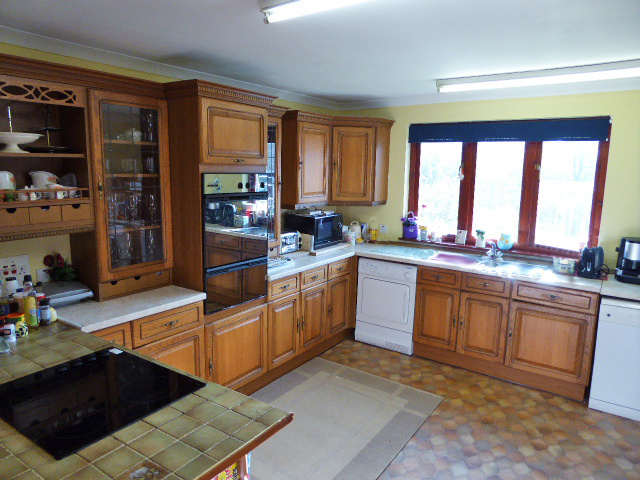 Over a split level with large work surface areas as well as a defined breakfast/dining areas. There is a variety of wall, drawer and base units and a built-in double oven. Vinyl flooring. Window overlooks the rear garden and a rear access door. 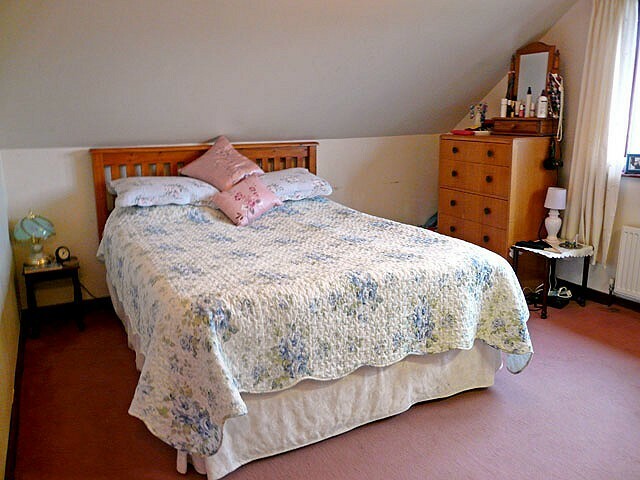 Spacious room with carpet flooring and built in furniture. The en-suite comprises: shower cubicle with electric power shower, W.C, Wash Hand Basin with tiled splash back. Built-in storage cupboard. Vinyl flooring, a large sash window, radiator, display cabinet with mirrored front and shaver point. 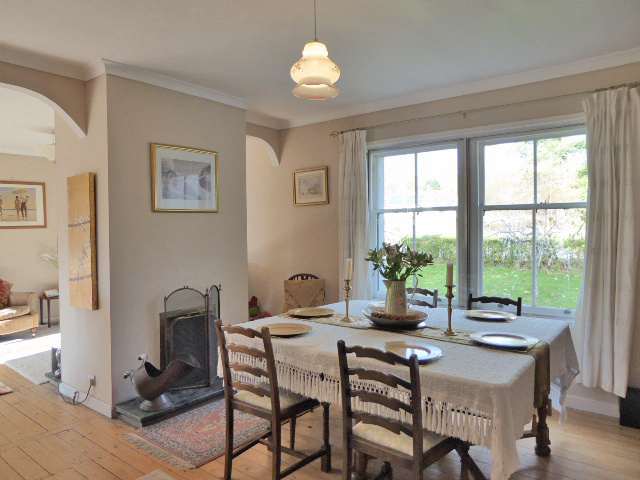 For independent annex type accommodation or Bed & Breakfast this room lends itself well to use as a dining room/sitting room. Carpet flooring. Currently used as a cosy second sitting room. Window overlooks the garden ground, T.V point and carpet flooring. Fully tiled shower cubicle with electric power shower, wash hand basin and W.C. Recessed, tiled shelving, shaver point and extractor fan. Vinyl flooring. 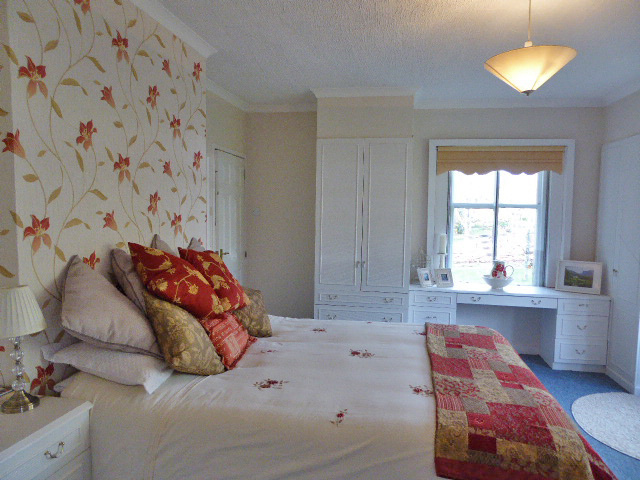 A bright and spacious room with a three pane double glazed window which overlooks the rear garden ground. The en-suite consists of "step-in" shower unit with electric power shower, wash hand basin with tiled splash back, W.C. and extractor fan. Mosaic tile effect vinyl flooring. A spacious duel aspect galley style landing, ideal for use as a sitting area/study for joint use of Bedrooms 5 & 6. There are storage cupboards with shelving one of which houses the water tank. A cedar lined ceiling with velux window. Carpet flooring. 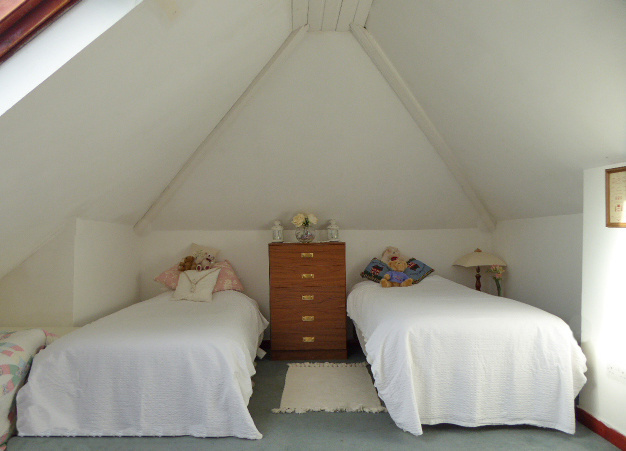 Another bright and spacious room with coombed ceiling. Large walk-in wardrobe with shelving. Carpeted. Consists of bath with electric power shower over, tiled surround. Wash Hand Basin and W.C, extractor fan, towel rail and radiator. Vinyl flooring. 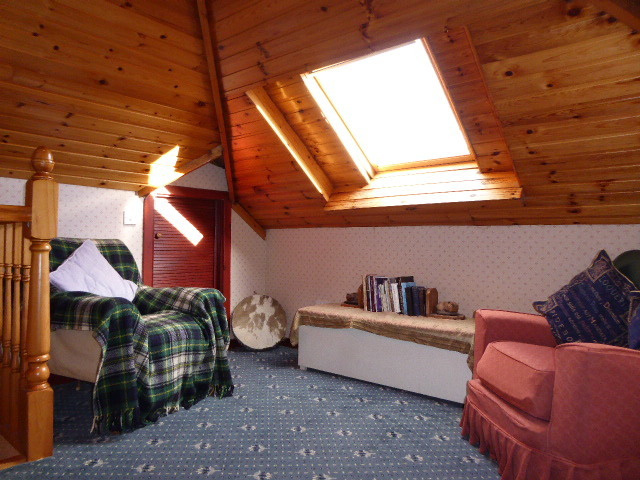 Spacious room with coombed ceiling, spot lights, large Velux style window, carpet flooring and radiator. 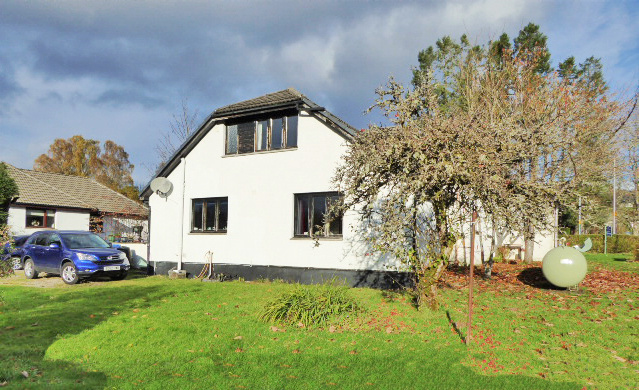 There is garden ground to front, side and rear of the property which is mainly grassed. The boundaries are fenced with timber ranch style fencing and wire. 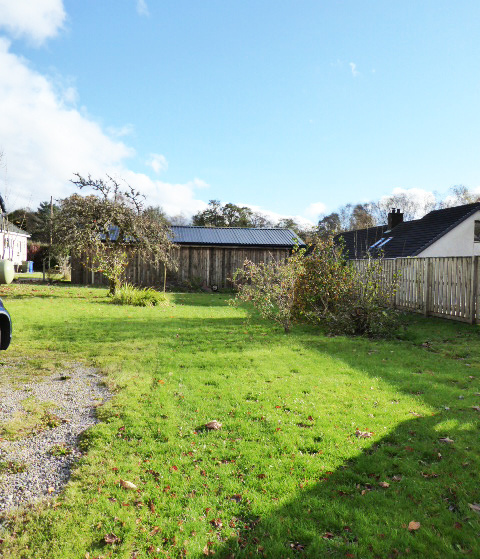 A long driveway leads to the rear of the property where there is a garage, the driveway has adequate parking for approx 6 vehicles. A footpath laid with stone chip leads around the property. There is a raised Patio area ideal for sitting out and taking in the views or lazy summer evenings.